Our Hardware Department ranges from your everyday common merchandise to your more specialized hardware. From A/C filters, Locks, Cabinet Hardware, Pesticides, Nuts, Bolts and More. We pride ourselves on having that ‘little’ item that you just can’t find at the big box stores. 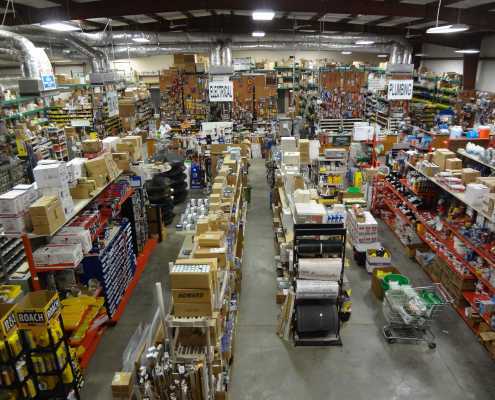 With over 40,000 square feet of space we hope to have what you need. Unlike most of the other “big box” home improvement stores our employees know their stuff, with their knowledge and years in the business they can answer just about any question(s) you have! While you are here browse around our hardware section and you’re sure to find something!